When you think of Thanksgiving flowers, the most popular fall arrangements include some combination of chrysanthemums, roses, gerbera daisies, sunflowers, carnations, marigolds, alstroemeria or lilies. Certainly, this Thanksgiving many of us will use the holiday as an opportunity to send fresh cut autumn blossoms when we can’t be there. Thanksgiving will be here before you know it! It falls on Thursday, November 24th this year. How can you express sentiments of appreciation and love easily and beautifully this Thanksgiving? A thoughtful Thanksgiving centerpiece, bouquet or arrangement is perfect. 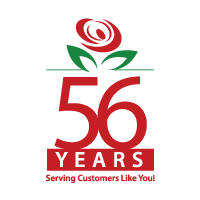 Thankfully with the help of our family run Brant Florist shop, 50 years strong, we can expertly help you send hand- arranged, hand-delivered Thanksgiving flowers to family members living just about anywhere in the United States. On November 24th, when many families will gather together to share a bountiful Thanksgiving feast and to give thanks for a year of abundance, you can express your gratitude with a gift of flowers. Whether a Thanksgiving centerpiece adorned with candles or perhaps a rustic cornucopia, (see our Harvest Home Cornucopia), or perhaps a more whimsical ceramic pumpkin filled with stunning fall flowers, (our Pretty Pumpkin Fall Bouquet is fun), flowers are always appropriate. Quite simply, fresh, beautiful flowers make people happy. If you want to warm a heart or see a smile emerge upon a loved one’s face, send flowers this Thanksgiving. Not only will the centerpiece or arrangement dress up the Thanksgiving dinner table, the flowers will help capture the true spirit of the holiday without having to say anything at all. The colors of our fall flower collection are warm and rich. Hues of rust, pumpkin, gold, scarlet and deep purple are abundant for fall. With stunning seasonal flowers in rich hues, it’s easy to select a fall flower arrangement that is perfect for your family or far from home friends. Want to send a centerpiece with presence? Consider our Bright Autumn Centerpiece complete with two taper candles surrounded by lilies, gerbera daisies, roses and poms. Our Autumn Medley Basket highlights the best of autumn’s offerings with spray roses, sunflower, carnations and daisies all hand arranged in a sweet basket. If you are looking to send classic roses, our Deep Emotions Rose Bouquet bursting with roses in deep fuchsia and orange and highlighted by greens is sure to please any recipient. Another popular gift option that many of our customers opt for when looking for something extra special is a gift from our top selling Thanksgiving gourmet gift basket selection. We offer fruit and plant baskets, (see our Fruit and Blooms Basket which includes a large wicker basket filled with apples, bananas, pears and oranges that surround a flowering plant), a Chocolate Lover’s Surprise basket and many fruit and gourmet treat combination baskets that are sure to please family members, employees and groups. Let our website inspire you at www.brantflorist.com or come in and speak to us personally about your Thanksgiving floral and gift basket needs. We give thanks for your patronage and wish you a Happy Thanksgiving! I never did like fall colors as a kid but the older I get the more I like the colors at fall even the oranges. I even decorated my kitchen with fall colors and grapes which I never would have done before. I love the idea of the floral arrangements when you can’t be there because it shows that you still care and you would have been there if you could have. The Chocolate Lover’s surprise basket is awesome but I really like the rose arrangement with the very different colored roses. The ceramic pumpkin however was my favorite by far. You have given me some great ideas for the holidays and I will be sure to re-visit your site for Christmas ideas as well. It’s good to know that I can have the option of calling the Brant Florist shop to have a bouquet sent to South Florida. The nationwide delivery service may well become very important once certain persons, who did not place their flower bouquet orders in early, start scrambling to find a florist once their local floral shop breaks the untimely news that they are booked with orders and are no longer accepting them until after the Thanksgiving holiday. And this is a scenario that plays out in just about every urban and suburban neighborhood throughout the country, every year, in the weeks leading up to the Thanksgiving holiday. I myself have a busy week coming up and I may decide to save myself any frustration and call the Brant Florist shop for a delivery.